Moving to Paris? Where to live for the right atmosphere? In Discover Paris, Paris for the first time, Where to stay in Paris? From the most traditional to the trendier, cooler and more festive neighborhoods, Paris has everything on offer to make your stay a fantastic one. Paris is divided into 20 arrondissements, which are structured into the shape of a snail starting from the city center. Arrondissements 1-11 make up the inner city center, whilst 12-20 form its second ring. But for the Parisians the arrondissements aren’t just geographical and administrative zones. They are like whole universes. Each arrondissement has its own identity and individual set of values. We refer to the 14 arrondissements situated north of the Seine as «THE LEFT BANK» and the 6 arrrondissements south of the river as «THE RIGHT BANK». 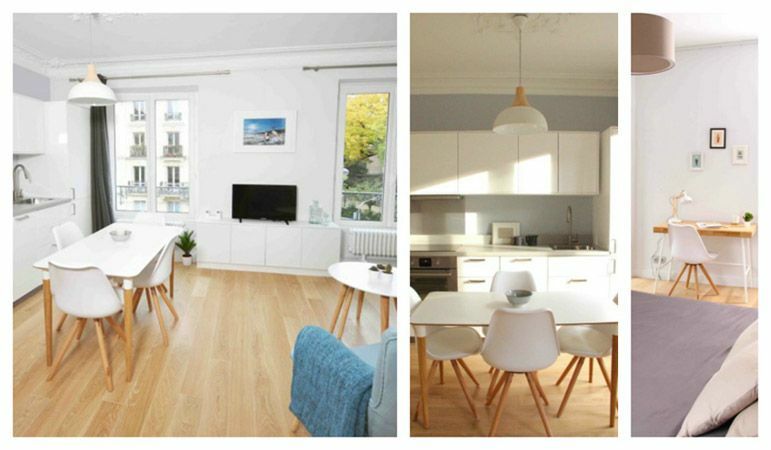 Why not rent an apartment in Paris on the «RIGHT BANK»? 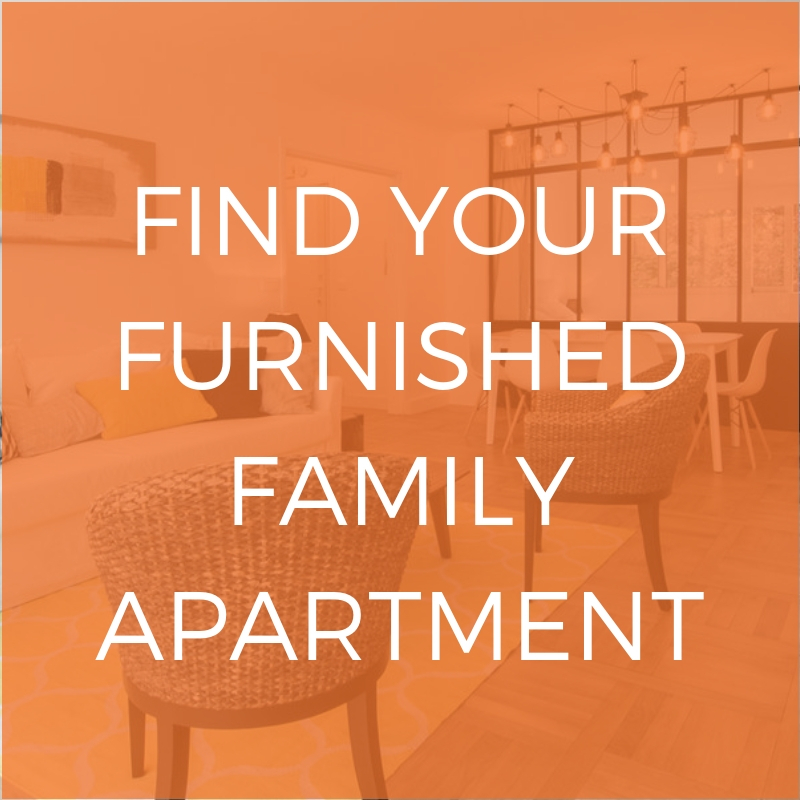 With its 4 quarters (Place Vendôme, Saint Germain l’Auxerrois, les Halles, and Palais Royal), you are guaranteed to enjoy living here! Worshiped by tourists and a popular place to live for young couples, Paris’ 1st arrondissement is known for its central location (on the right bank of the Seine), and for its sights and attractions of global renown: Sainte Chapelle, the Palais de justice, the île de la Cité, the conciergerie, the Tuileries gardens, the Carrousel gardens, the forum des Halles, the Bourse (stock exchange), the Saint Roch and St Germain l’Auxerrois churches, the Pont neuf, Place Vendôme, Place Dauphine, Place des Victoires, the Palais Royal, oh and the Louvre… Owing to sheer number and scale, these sites make up a large part of the relatively nonresidential 1st arrondissement. 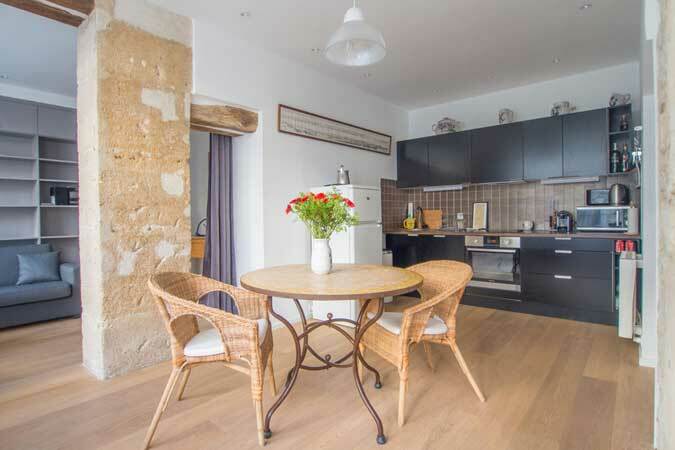 There’s a huge selection of apartments available in these 4 quarters (Bonne Nouvelle, Mail, Gaillon, Vivienne). More understated than its prestigious neighbor, Paris’ 2nd arrondissement is home to lots of essential attractions. Its wonderful historic passages, lined with traditional boutiques, make it an ideal and charming place to explore. The grands boulevards are filled with a multitude of restaurants, cinemas, bars and clubs, so you’ll never get bored. It’s made up of 4 quarters: Sainte-Avoye, Archives, Arts et métiers, Enfants rouges. Situated on the right bank, The 3th arrondissement of Paris is a residential neighborhood where life is all about pleasure and enjoyment. The old and the modern are harmoniously combined through the big streets and narrow little alley ways that exude charm. Cultures, traditions and avant-gardism are all blended in this area, which is home to 36,000 people, and also filled with hôtels particuliers, art galleries and museums. Its 4 quarters, Arsenal, Notre-Dame, Saint-Gervais and Saint-Merri, combine the old with the modern. From Notre-Dame Cathedral to the Marais, the 4th arrondissement crosses the Seine, covering the Île Saint-Louis, part of the Île de la Cité and includes some of Paris’ oldest sites and landmarks. If you like shopping, the Rue de Rivoli is filled with big chain stores, whilst the Rue des Franc-Bourgeois is famous for its luxury fashion retailers. It is mainly celebrities and wealthy families who can afford to live in the 4th arrondissement. Its 4 charming quarters, Madeleine, Champs-Elysées, Faubourg-du-Roule and Quartier Europe, have changed enormously over the centuries. In the Middle Ages, Paris’ 8th arrondissement functioned as a site of market gardening before transforming into a chic and stylish neighborhood. In the 17th Century, the majestic path of the Champs-Elysées was plotted out by André Le Nôtre. In the 18th Century, the upper-bourgeois class and aristocracy had their splendid mansions built on Rue du Faubourg-Saint-Honoré and the avenues surrounding the Monceau park. Its 5 quarters (Chaussée-d’Antin, Faubourd-Montmartre, Rochechouart, Rochechouart and Saint-Georges) are a great place to live if you like shopping. Situated on the right bank of the Seine, the 9th arrondissement is one of the smallest in Paris but also one of the most visited. Its enormous department stores, famous museums, theaters and auditoriums, such as the Opera Garnier, the Folies Bergère and the Olympia, attract art lovers as much shopping addicts. Its 4 areas (Porte Saint-Denis, Porte Saint-Martin, Hôpital Saint-Louis, Saint-Vincent-de-Paul) are above all charming! The allure of the 10th arrondissement, in the north of Paris, comes mainly from its secret, hidden passages that give the streets a mysterious quality. A walk in the 10th can be as much about having an adventure and discovering its secrets as enjoying a simple stroll along the Canal Saint-Martin. Its 4 quarters (Folie-Méricourt, Roquette, Sainte-Marguerite and Saint-Ambroise) are lively and popular. Within the glorious boulevards de Belleville, Ménilmontant and Charonne and the rues du Faubourg-Saint-Antoine and du Faubourg-du-Temple, the 11th arrondissement is situated on the right bank in Eastern Paris and home to around 150,000 people. Its 4 quarters (Bel-Air, Bercy, Picpus and Quinze-Vingts) have lots of green space. Situated in the South-East on the right bank of the Seine, Paris’ 12th arrondissement is known for its green spaces, including the Bois de Vincennes and the Promenade Plantée, which are particularly popular both with local residents and tourists. In the Place de la Bastille, the famous opera house of the same name, one of the capital’s key cultural landmarks, stands where the prison once did. Its 4 quarters (Auteuil, Chaillot, Muette and Porte-Dauphine) are notably chic and glamorous. The 16th arrondissement is one of the most stylish neighborhoods in Western Paris. Surrounded by the Seine in the East and the Bois de Boulogne in the West, it’s home to more than 160,000 people, making it one of Paris’ most residential arrondissements. Its 4 quarters (Batignolles, Épinettes, Plaine-Monceau and Ternes) are great for relaxing and going for peaceful walks. The vast 17th is one of the capital’s largest arrondissements. It’s easily accessible via Porte Maillot, Charles de Gaulle Étoile and plenty of other transport links, so you’ll have no trouble getting there. What to do in the 17th arrondissement? It’s bursting with gardens and green spaces, like the Monceau Park, which is perfect for walks and recreation. In its 4 quarters (Chapelle, Clignancourt, Goutte-d’or and Grandes-Carrières) you’ll find entertainment on every street corner! With more than 200,000 residents, the 18th arrondissement is the 2nd most populated in Northern Paris. The 18th includes the famous 130m Monmartre Hill, the Sacré-Coeur, Pigalle and the Moulin Rouge, as well as the areas La Chapelle and Barbès. Cosmopolitan, bohemian and exotic, the 18th is popular destination for cultural outings and visits to its beautiful green spaces, gardens and leafy squares. The 4 quarters to explore are Amérique, Combat, Pont-de-Flandre and Villette. With its canals (l’Ourq and Saint Denis), its parks (Villette and Buttes-Chaumont) and its cité des Sciences, the 19th arrondissement, situated in the North-East, offers a mixture of music, science and green spaces. Paris’ 20th arrondiseement comprises 4 quarters: Belleville, Charonne, Père-Lachaise and Saint-Fargeau. With a population of almost 200,000, the 20th is one of Paris’ most residential arrondissements. Situated in Eastern Paris, it is surrounded by the Portes de Bagnolet, de Montreuil, de Vincennes and des Lilas, and includes the areas of Ménilmontant, Père-Lachaise, Saint-Fargeau and Charonne. What about the Paris’ «Left Bank» ? Its 4 quarters (Sorbonne, Jardin des plantes, Saint-Victor and Quartier Val de Grâce) are symbolic of the city’s Roman heritage. Sitting on the left bank of the Seine and covering most of the old Latin Quarter, the first stones of which were laid by the Romans, the 5th arrondissement remains a relic of the city’s origins. The Arènes de Lutèce, the Museum of the Middle Ages, the Pantheon and the Grande Mosquée are admired daily by thousands of visitors, both as relics of the past and as landmarks that symbolize a series of historical eras. The 6th comprises 4 delightful tourist quarters: Monnaie, Odéon, Saint-Germain des Prés and Quartier Notre-Dame-des-Champs. Mainly known for its famous neighborhood of Saint-Germain-des-Prés, the 6th arrondissement also includes the areas of Odéon, Monnaie and Notre-Dame-des-Champs..
It’s an area popular with thousands of artists and intellectuals, and also students, as it’s home to one of the city’s most prestigious universities: the Sorbonne. In the West, it is bordered by the Luxembourg gardens and, in the North, by the Seine. The 6th, which is home to 60,000 people, is an arrondissement renowned for its wealthy residents. Whichever quarter you choose (École militaire, Saint-Thomas d’Aquin, Invalides, Gros-Caillou), you’ll be sure to find yourself living at the foot of the Eiffel Tower. Situated in the heart of the French capital, the 7th arrondissement is home to the famous Eiffel Tower, as well as nearly 60,000 people. It’s made up of mainly administrative districts and a few essential museums. In Paris, it is the most expensive arrondissement per m². Its enormous tree-lined avenues and green spaces make the 7th a fancy neighborhood of which the Parisians will always be proud. Its 4 quarters (Croulebarbe, de la Gare, Maison-Blanche and Salpêtrière) will give you a tour du monde within Paris alone. Bordering the Seine on the left bank, Paris’ 13th arrondissement covers the areas of Butte-aux-Cailles, Faubourg Saint-Marcel and the Asian quarter. It also includes Paris Rive Gauche, a modern urban development overlooking the Seine. The 13th offers numerous attractions, including the François-Mitterrand Library, the Manufacture des Gobelins (a tapestry factory), the Gare d’Austerlitz and the Pitié-Salpêtrière Hospital. A glorious blend of culture and architecture makes the 13th arrondissement a perfect area to explore different faces of the Parisian world. 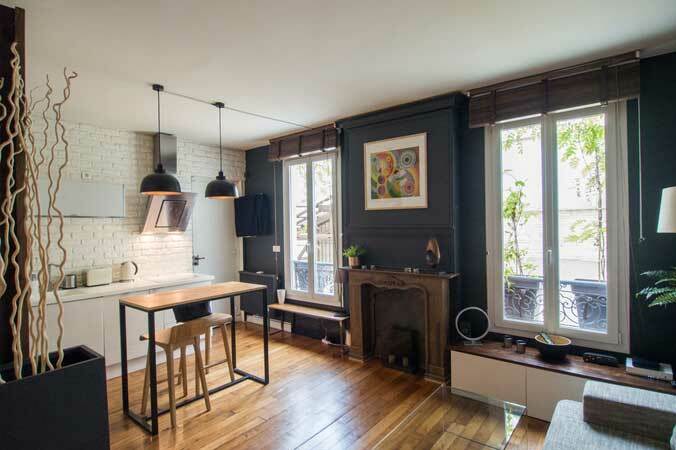 Its 4 quarters (Montparnasse, Petit-Montrouge, Plaisance and Parc-de-Montsouris) are lively and residential. Situated in the South of the capital, next to the périphérique ring road, the 14th arrondissement is home to more than 140,000 people. It includes the administrative district of Montparnasse, the Parc-de-Montsouris, Petit-Montrouge and the quartier de Plaisance with the famous shopping street, rue Alésia. Interesting sights in the 14th include the Cité internationale universitaire de Paris, the Montparnasse neighborhood and cemetery as well as the Montsouris park. With its 4 quarters (Grenelle, Javel, Necker and Saint-Lambert), the 15th is the biggest and most populated arrondissement in Paris. Situated in the South-West of the capital and bordering the Seine, it is enclosed within the boulevard périphérique ring road and boulevard Montparnasse, and includes the small municipalities of Vanves and Issy-les-Moulinaux in the South. Situated in the Hauts-de-Seine and covering 14km², La Défense is Europe’s largest business district. It was built as part of an extension of the historic Parisian axis, which begins at the Louvre and runs along the Champs-Élysées, through the Arc de Triomphe and past the Neuilly bridge as far as the Grande Arche de La Défense. La Défense is easily accessible via the Metro Line 1 or on the RER A. 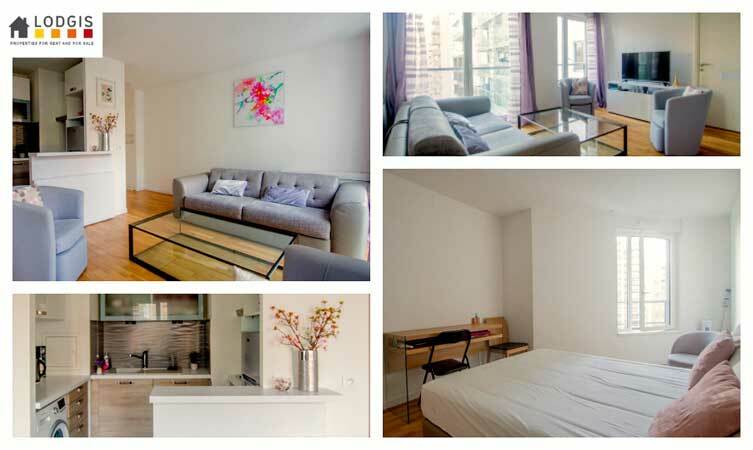 Are you looking for a studio in Paris but you haven’t chosen your neighbourhood yet? So what kind of neighborhood will you choose…chic, quirky, bohemian, festive, cool or zen? 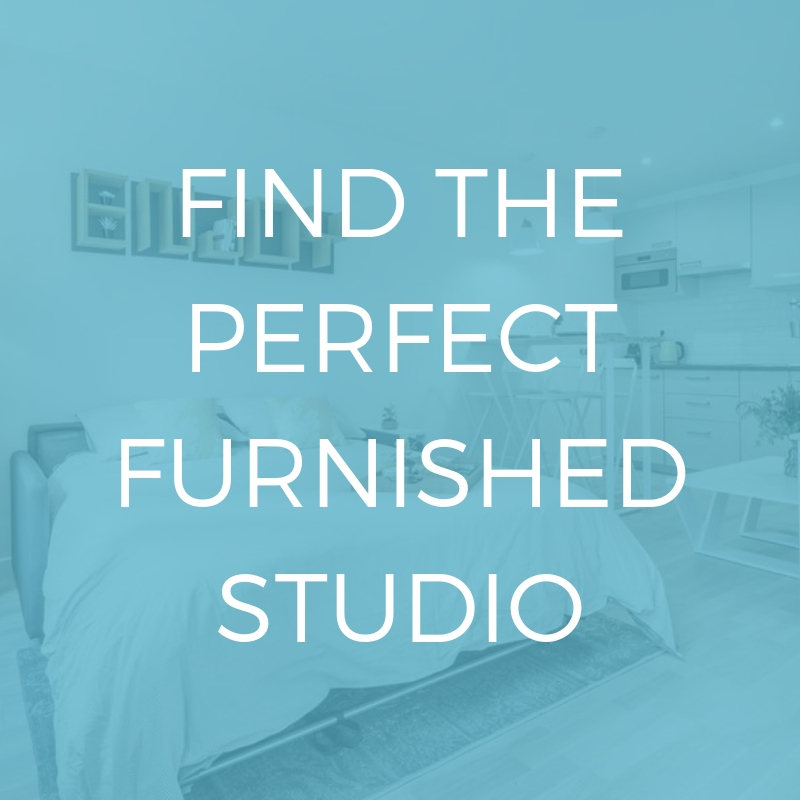 Whether it’s right in the city center or slightly off the beaten track, we can help you find a place to live that will make you feel at home in this little paradise!